With reports suggesting that canonical regularization of the SSPX is close at hand (whatever “close” means), anxiety is running at an all-time high among so-called “traditionalists” (aka Catholics). I’ve made my thoughts on the matter rather clear in the past (e.g., HERE and HERE), but given the present state of affairs concerning Francis in light of the dubia and reasonable doubts about his validity, we have a new wrinkle to consider. As regular readers of this space know very well, I am convinced that Jorge Bergoglio has plainly judged himself a formal heretic and therefore no pope at all. At the very least, one cannot help but wonder if in fact he is a legitimate pope. As such, it is reasonable to ask if it makes sense for the Society to accept a canonical recognition from the hands of Francis given his questionable status. The plain and simple fact of the matter is that the SSPX finds itself in an “irregular” state for one reason and one reason alone; those in authority, up to and including popes, have abused their power and acted unjustly. The Society of St. Pius X has never been anything other than in “full communion” with the Church; their relationship with Eternal Rome unquestioned. It is the modernists running the show in the Rome of today who breached their own relationship with Holy Mother Church. “Full communion” for the Society does not belong to any pope; i.e., it does not exist simply because he or someone else in authority formally declares it – no more than it ceased to exist simply because they denied it. If Rome changes course and decides to formally recognize that the SSPX has the Faith; granting them regular jurisdiction, doing so will be nothing more than a matter of justice. The value of that act of governance does not so much rest on the person of the pope (or the man dressed as such) as it does on the objective truth that the Society and its teachings are entirely Catholic. While locking the SSPX out of the building (denying them formal jurisdiction) had no effect on that objective truth, it did profoundly effect the way in which the majority of undernourished Catholics viewed the Society (e.g., as a “break away” sect, schismatic, with questionable teachings and invalid sacraments). Regular jurisdiction for the SSPX will be a great benefit for those souls and their salvation no matter who unlocks the building, and like it or not, they keys are in the hands of modernists right now. Can the modernists be trusted? But what’s the worse that can happen? If the modernists in Rome offer such a guarantee and then renege by insisting that the Society in some way compromise, I have every confidence that they will simply refuse; even if that means being kicked out of the building once again and returning to the state in which they find themselves today. I honestly don’t know what all the panic is all about. The challenge to remain faithful in the face of evil is the daily fare of every Catholic – always has been; always will be. I must say that one of the things that I would expect to see happen very shortly after the Society’s regularization (should that happen) is for Bishop Fellay to begin speaking publicly and forcefully on the matter of Amoris Laetitia, the dubia and Francis’ validity. I think it’s fair to say that the Society’s public response to date has lacked, shall we say, the kind of Apostolic zeal that one might have expected given the offensiveness of the heresies and blasphemies in question. Right or wrong, perhaps the decision was made to temper the response, as an attempt to exercise prudence, given that formal jurisdiction appears near. Whether one agrees or not, I can imagine how a case might be made for such a decision. That said, once the Personal Prelature either happens, or it becomes obvious that this act of justice isn’t so near after all, there can be no reason for Bishop Fellay to refrain any longer from plainly condemning Amoris Laetitia in its entirety in no uncertain terms; denouncing in particular the specific heresies and blasphemies that it contains. Back in April, Bishop Fellay likened this dreadful document to a boat that is reasonably well constructed in Chapters 1 thru 7, but has a gaping hole below the sea line courtesy of Chapter 8. In spite of any claims that Amoris Laetitia contains much that is “beautiful,” the plain truth is that it adds absolutely, positively nothing to the perfectly sound vessel that already exists in the Church’s authentic magisterium on marriage and family. Nothing. That being the case, insisting that Francis fix the hole in Amoris Laetitia with “clarifications” is utterly useless. This evil text needs to be incinerated and reduced to ash immediately, and the actual relationship of its author to the Body of Christ needs to be addressed plainly. I for one am looking forward to the day when the Society of St. Pius X and Bishop Fellay will issue an unequivocal call for precisely this. Whether that takes place with or without regular jurisdiction, it needs to happen soon. The salvation of souls is at stake. SSPX regularization: Is it worth the risk? You raise really and valid issues here, Louie. Archbishop Lefebvre absolutely believed toward the end of his life, after the consecrations, that Rome was in Apostasy, and that they (the hierarchy in Rome) had in fact left the Church. He was not a Sedevacanist, however. He always said that it’s a mystery as to how this be the case. The Archbishop also said that they (SSPX) could not collaborate with Rome, because Rome was for the deChristianization of society in general, and the SSPX works for the Christianization of society. And this was when JPll was Pope. The situation is far worse now. For Archbishop Lefebvre, he wasn’t so concerned with proving the Apostasy of Rome (though he believed it), but rather he felt it his duty to work to maintain the Traditional sacraments, Mass, Catholic teaching, until Rome came to its senses and came back to the Catholic Faith. He did not give up hope that this would one day happen. You are absolutely correct to say that the SSPX has “lacked Apostolic zeal that one might have expected given the offensiveness of the heresies and blasphemies in question.” Bishop Fellay has not issued any sort of official commentary on Amoris Laetitia. The SSPX website DICI has issued an official statement, but Bishop Fellay didn’t write it; it was written by two priests of the SSPX. There is a petition going around a few trad blogs and forums which is going to be sent to Bishop Fellay, and the petition asks Bishop Fellay to confront Francis about Amoris Laetitia, and make known the problems with it. Bishop Fellay has access to the Pope, but we trads don’t. It would be a great service to the Truth if Bishop Fellay would do this. However, I’m fairly certain that he won’t do anything to confront Francis with the Truth. He hardly ever even speaks out against the Council, either. Perhaps he’s tired of the battle. Louie: I want to make a donation to you but I refuse to use Paypal after it refused to do business in North Carolina after the repeal of the law on transgender bathroom use. Can you provide an address or some other method to send you a donation? Click into that, and there is an address for you to send a check. Thank you Servant of Our Lady. Don’t know why I didn’t think to check the Contact link. Yes, and the Cardinals and Bishops are just remaining silent because they are concerned about what will happen to their flocks if they speak out and are replaced. Crickets, that’s all we are going to hear. Crickets. No response to this pope or AL has yet been heard that is sufficiently clear and to the point, using words all of us would understand. I appreciate the responses from a very few Cardinals and Bishops thus far, but all of them are falling far short of an appropriate response. I don’t know why the SSPX would choose now, hopefully they have some good reason. It’s hard to imagine there wouldn’t be something he could do to them, and if he can, I believe he will. Yes, there is a very good reason. SSPX is already The Church and has been all along. But if those who attend illicit, if not invalid, NO Masses in real estate owned by what used to be the Church perceived a “regularized” SSPX being the real church, it means that 10, or 100 or 1,000 or a million souls that would otherwise be lost might just go to an SSPX parish or chapel and truly become Catholics whose souls are saved. Do you really think attending the typical NO parish today under the direction of apostate bishops and an anti-pope will lead souls to heaven? If there was any doubt before, there no longer should be that SSPX is, indeed, the remnant and that Archbishop Lefebvre was a modern day Athanasius…and saint in waiting. Gathered around our Superior General, the Superiors of the Districts, Seminaries and autonomous houses of the Priestly Society of Saint Pius X think it good to respectfully express to you the following reflections. You thought it good, by your letter of July 1st, to inform Their Excellencies Archbishop Marcel Lefebvre, Bishop Antonio de Castro Mayer, and the four Bishops whom they consecrated on June 30, at Ecône, of the excommunication latæ sententiæ. We let you judge for yourself the value of such a declaration, coming from an authority who, in its exercise, breaks with all its predecessors down to Pope Pius XII, in worship, teaching and government of the Church. As for us, we are in full communion with all the Popes and Bishops before the Second Vatican Council, celebrating precisely the Mass which they codified and celebrated, teaching the Catechism which they drew up, standing up against the errors which they have many times condemned in their encyclicals and pastoral letters. We let you judge on which side the rupture is to be found. We are extremely saddened by the blindness of spirit and the hardening of heart of the Roman authorities. On the other hand, we have never wished to belong to this system which calls itself the Conciliar Church, and defines itself with the Novus Ordo Missæ, an ecumenism which leads to indifferentism and the laicization of all society. Yes, we have no part, nullam partem habemus, with the pantheon of the religions of Assisi; our own excommunication by a decree of Your Eminence or of another Roman Congregation would only be the irrefutable proof of this. We ask for nothing better than to be declared out of communion with this adulterous spirit which has been blowing in the Church for the last 25 years; we ask for nothing better than to be declared outside of this impious communion of the ungodly. We believe in the One God, Our Lord Jesus Christ, with the Father and the Holy Ghost, and we will always remain faithful to His unique Spouse, the One Holy Catholic Apostolic and Roman Church. 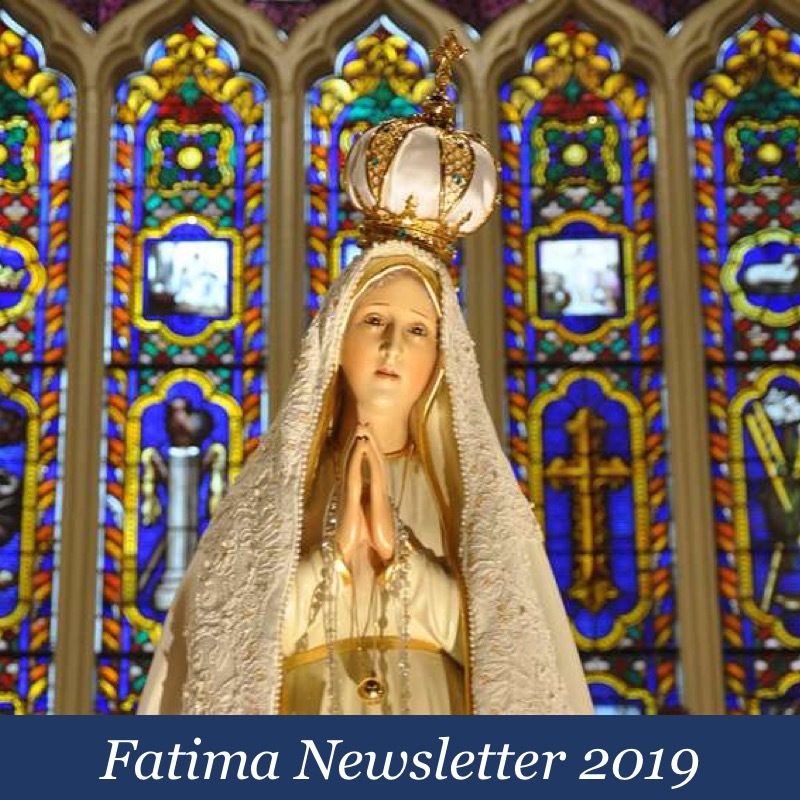 Confident in the protection of Her who has crushed all the heresies in the world, we assure Your Eminence of our dedication to Him Who is the only Way of salvation. Thank you for putting that before the public once more. It reminds us what a truly faithful defense of the truth and Holy Mother the Church looks like. Seems to me, Bp Fellay could benefit from a reminder. You know what I’d love to see? You and Bishop Fellay standing before the Throne together, each giving his full account. Do you believe that my sins somehow would diminish the sins of others? Bp Fellay will answer for his actions just as I, and you, will. I hope he can prove more charity than what I have observed. Yes it would… provided it is made clear that the previous denial of their recognition was UNJUST. otherwise it would appear to be an ‘act of mercy’ and in accepting it, it could imply that the SSPX accepts they were somehow at fault. WHY ISN”T HE DOING SO NOW (apart form the odd weak comment to do with crying)??? By making a comments like this Louie, you are condoning silence in the face of evil in order to achieve one’s own personal benefit. If the price of ‘recognition’ is silence then shame of +Fellay for seeking it. No one addresses the fact that SSPX property will be subsumed into NO coffers and any priests who might refuse to bow to heresy would be turned out (as many who have been opposed to the great capitulation have already been). There is a resistance group of trads who saw the handwriting on the wall in 2012 . For respectfully expressing their concerns, they were ejected from their parishes. The thug like tactics of the NO are in use to silence defenders of the Faith already in the SSPX. So you’ve seen the agreement, in writing? You’re fully aware of what legal arrangements might be in place? How did you glean such information, and why are you keeping it to yourself? We have seen the others who travelled down this road with no return. We shall see. From what I am hearing, many who attend SSPX Churches/Chapels are expressing disappointment in the SSPX leadership who seem very comfortable with their role in providing the TLM and the Traditional sacraments, but hesitate to go out on a limb to fight like true warriors against the enemy within. This, of course, does not apply to every one of their priests, who, in my opinion, need and deserve more encouragement from their superiors. Apostolic zeal is not a luxury—it is a necessity in this time of great crisis. I am sorry to say that the SSPX is looking very weak. Nice 2 cents. I agree. And I am sorry to say it as well. What you’re hearing? From whom? Are you an SSPX Mass-goer? This is the farthest thing from true in our chapel. We get the Catholic Faith there, in full, all the time, as well as completely accurate and satisfactory explanations and denunciations of the modernist errors of the post-conciliar period. We’re not out for blood, though. We just want to raise our children in the true, full faith and be the best Catholics we can do. As for the vocal minority of malcontents, what they seem to want is to whine and condemn rather than to think and pray. if Bishop Fellay is so keen to regularize under the most extreme modernist anti-tradition Pope to ever occupied the seat of Peter, then really, there was no reason for Archbishop Lefebvre to consecrate the four bishops, and therefore incur excommunication, right? Why is it so many people in this world think they are qualified to speak on matters they know nothing about? Are you aware of the virtue of prudence? Look, if you think that Bishop Fellay is going to sign an agreement that will give the Vatican the power to gut the Society, take control of its property, or anything of the sort, I don’t know what to say. Not all of this is public by a longshot, but Bp. Fellay HAS made it clear, publicly, that a non-negotiable condition is that they remain autonomous. Another is that they not be required to accept that assertion that the Vatican II documents are pristine on the whole. As to your rhetorical question: If Archbishop Lefebvre had not performed the consecrations, the Society would not now exist. Can’t you understand that canonical recognition is a *victory*? It is exactly what he wanted and all he ever wanted. God works in mysterious ways (yet He doesn’t “surprise” us with new doctrine ). Pope Francis being the quintissential Vatican II pontiff, and yet the one to regularize the Society, could well be in the cards, and if the terms are appropriate, a victory in every sense. Addendum: The whiny, aggressive malcontents tend to spend LOTS of time on the internet. I saw you over at the SD forums. I reckon you should frequent there, and not go away. There is a poster there called Nazianzen who tears up TOFP, and who is across everything you post here. He/she (probably a he though) seems to have read very widely and is a staunch and able defender of the sede position. It would be a great thing for you to test your thoughts against his. He will give you a good run for your money. I would be very interested to see how it goes. I know you’re busy, and so is everyone else, but the putting forth of both sides in public in a civilised and charitable manner is a worthy use of time. The staunchler and abler a defender of the sede position, the worse the confusion, or the more skilled the sophistry, or both. I can’t really cover all the Internets all by myself. Yeah, as a sede Im SO CONFUSED (please). Keep defending the legitimacy of the current heretic/usurper in office. If souls werent going to hell based on his universal teachings (which are infallible if he were a real pope, and which Catholics would then have to abide by), your defense of him and his joke church would be comical. Rich, as usual, you’re angry enough for a bumper sticker. What is the link to the SD forum? Honestly, Rich, you haven’t figured out Google yet? The identity of the person you refer to is known to all (on this side of the fence). He is a notorious sedevacantist who operates a website (using his real name). I am tempted to give the identity of this person here, now, but will refrain for the moment. I can tell you this, though: One of the authors of True Or False Pope has been having a private debate with him, with SSPX priests on the sidelines, which will soon be made public. At that point, his subterfuge and quite deliberate intellectual dishonestly will be laid bare for all to see. You are 100% correct. The SSPX leadership has bared its teeth towards all those who have been skeptical of this surrender to Conciliar authority. And no one addresses the fact that SSPX property will be subsumed into NO coffers and any priests who might refuse to bow to heresy would be turned out (as many who were opposed to the great capitulation have already been). There is a resistance group of trads who saw the handwriting on the wall in 2012 . For respectfully expressing their concerns, they were ejected from their parishes. The thug like tactics of the NO are in use to silence defenders of the Faith already in the SSPX. For the audience, anyone who refers to any element of the SSPX as “thugs” knows nothing about it or is something akin to the stereotypical bitter, angry “trad” (AKA Catholic). What me & my family get at our Society chapel, for nearly four years now, is the Catholic faith whole & inviolate in every sense, as in the kind of Catholic praxis & spirit I can readily recognize in the writings of the saints. Believe you me that modernist errors are explained in no uncertain terms, at times, when necessary, but by no means is this ALL our priest harps on (that’s basically what the “Resistance” wants). The “Resistance” is basically a cult-of-personality around Bp. Williamson. Its adherents live by red herrings, ad hominems, and calumny – a little bit like the sede vacantist enterprise, come to think of it. It began when Bp. Williamson was expelled (a tragedy in a sense – he’s definitely a brilliant man and has contributed much). It’s those who want “no dialog” that betray the spirit of Archbishop Lefebvre, who never failed to engage in dialog. That’s because he wasn’t a schismatic: He was always painfully aware that *formal* separation from the supreme pontiff IS SCHISM and that no irregular canonical situation can last forever. And now for some cold water. 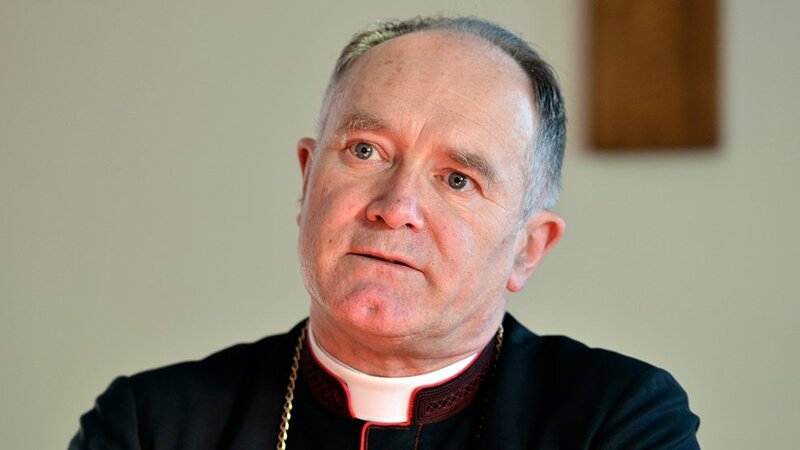 Bishop Fellay will not sell the SSPX out to the Modernist enemies of the Church. That shoud be the headline. There is a lot of tactical spin coming from Rome, to alarm and divide the Faithful. Believe it to your own detriment. It is as deliberate and calculated as their creation of the Novus Ordo and Vatican II. It’s the same people, don’t forget; they like using apparent power (they would call it “authority”) to call the shots, in an attempt to force their opponents, aka Catholics, into a chosen corner. They are ruthless, and know how to push buttons. It’s a game of chess to them. They try to place the SSPX and Bishop Fellay into awkward positons by these press releases, so that whether they respond or not, the SSPX end up looking bad – either as sell-outs on one hand, or schismatics on the other – and the faithful end up dividing over it. The Novus Ordo plays to win every time. This is the last official position of the Society from June 2016, and it hasn’t changed. It is not Rome who is providing the “spin,” but rather Bishop Fellay himself who is providing it. You took the words out of my mouth on this one. Thanks. By the way, they’re talking about you over at Suscipe Domine. I think a whole thread has been started about you. A WHOLE THREAD? On one of the Internets? I’ve made the big-time. Yes, a whole thread. That’s more than anyone has ever written about me, and I ma glad for it. I knew you could not resist having a look! I said somewhere else that I think you should stick around SD and check out Nazianzen’s posts. By the way, I think this is you? Here is an extract from a recent interview given by Bishop Fellay regarding his discussions with Pope Francis. The website is in Spanish, so the American flag icon near the top of the page will need to be clicked to translate it into English. So, IMO, from reading the above, it seems that Bishop Fellay is worried that the SSPX will fall into schism and he has brought this concern to the Pope, and the Pope agrees (well, of course he does!). I suppose that Bishop Fellay’s ultimate remedy for not falling into schism is to reconcile with the Modernists (who are themselves actually schismatics). So bizarre. And lastly, bishop Fellay is citing the “beautiful” example of the pope who gives them the power to confess. But the SSPX has always relied on supplied jurisdiction to hear confessions. Bishop Fellay seems to have forgotten this in his lofty submission to the Modernist Pope. Lefebvre: These things are easy to say. What is meant by “acting within the Church?” In the first place, what Church are we talking about? 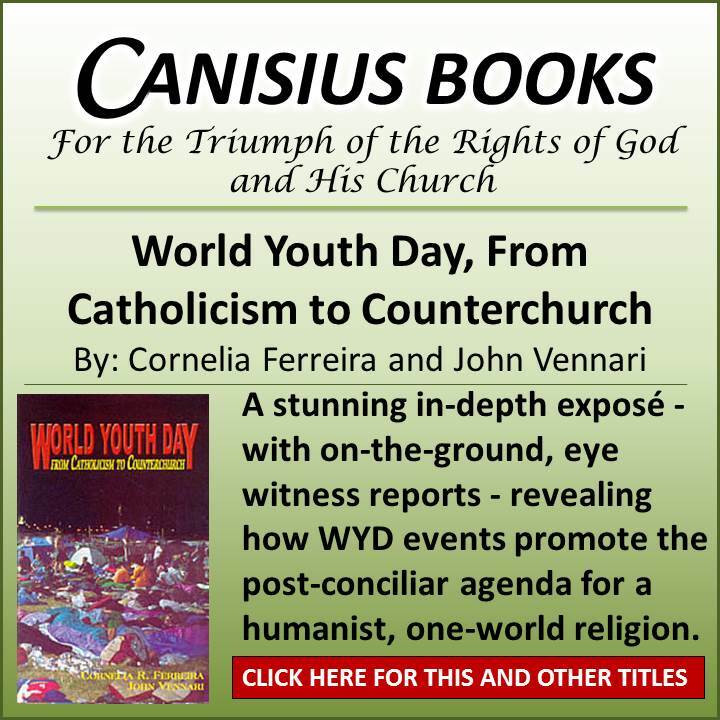 If it’s the Conciliar Church, then it means those of us who have fought against it for the past twenty years because we want to remain Catholic, now joining it, supposedly in order to catholicize it. This is a total illusion. Superiors are not molded by their subjects, but subjects by their superiors. In the present Roman Curia, and among all the progressive bishops in the world, I should have disappeared from sight and my voice would have been drowned. I shouldn’t have been able to accomplish anything, nor to protect the faithful and seminarians. Rome would have said to us, “Right, you can have Bishop So-and-So to perform your ordinations, and your seminarians will have to accept professors from Such-and-Such a diocese.” Impossible! The Society of St. Peter has professors from the diocese of Augsburg. What sort of professors are they? What do they teach? Fideliter: Are you not afraid that in the long run, after you have gone to your reward, the split will slowly widen to give the impression of an “alternative Church” running parallel to what some call the “visible Church”? Lefebvre: Dom Gerard’s and Monsieur Madiran’s talk of the “visible Church” is childish. It is incredible that anyone can speak of the Conciliar Church as the “visible Church” in opposition to the Catholic Church, which we are trying to embody and continue. I do not say that we are the Catholic Church. I have never said that. Nobody can accuse me of ever having imagined I was a pope. We are, however, faithful representatives of the Catholic Church as she used to be, because we are still doing what she has always done. It is we who have the marks of the visible Church unity, catholicity, apostolicity, and holiness. They are what distinguishes the visible Church. Thank you again. Your comments cut through all the disparaging remarks of the Vichy- conservative contingent. If one doesn’t really understand the theology involved, one cannot help but wonder about a lot of things. But the mind should not wander forever: It must find truth and then close on it, to paraphrase Chesterton. Those who are familiar with what every Catholic theologian has taught on the matter (and are guided by intellect ahead of will) know that there is no possible way that a pope can be deposed (by Christ, who is always the efficient cause of such a deposition) before, at the very least, he has been condemned as pertinacious in heresy *by the Church* after ignoring formal warnings. But, Pope Francis has not even been formally warned. As an SSPX Mass-goer for nearly four years now, I must report that this is not entirely accurate (though the phrase “full communion” is an undefined novelty). The Society does not have regular canonical status: That is a fact. However, it’s completely correct that this is due only to the fact that the modernist churchmen who currently occupy the places of authority have deemed it so, unjustly. Yet the fact remains. I guess Louie means he’s disappointed that Bishop Fellay has not denounced Francis as an anti-pope, based on – by definition – private judgement, and in contradiction to every theologian who ever uttered a single word regarding how a heretical pope may be deposed from office. And this “lacks apostolic zeal” – how? Does any Catholic in their right mind not understand that attributing to a papal document “moral relativism,” accusing it of operating “in Protestant fashion,” and of “turning Catholic morality upside-down” is about as damning a condemnation as could be imagined? Oh, but Bishop Fellay has not gone about raving that Pope Francis is an antipope. Ok; all is clear now. Can you cite where Bishop Fellay states the above quote? Is it an official statement? Because if it isn’t, then it may have been missed by a lot of people. That’s as detailed that Bishop Fellay gets about the document. Nowhere in the sermon does he mention any specific problematic parts of Amoris Laetitia. It’s an overly sweet and charitable attempt at correction which is unbefitting a spiritual son of Archbishop Lefebvre. Did Bishop Fellay even send it to the Pope? How do you know what he’s said or sent to the pope? Is he supposed to tell you? The Society has been entirely clear regarding the novelties in the post-conciliar Church since day one. Who the heck are you to tell Bishop Fellay how he should interact with the pope and what he should make public? What, pray tell, is “ridiculous” about 1P5? What’s your affiliation? Sede? “Resistance”? SSPX Mass-goer who makes subjective judgements about bishops on the internet? The SSPX doesn’t speak out so much anymore against the errors of the conciliar church. Bishop Fellay just doesn’t have his heart in it anymore to fight the good fight. He seems to want to throw in the towel. And yes, Bishop Fellay should confront the Pope directly about the heresies that the Pope has espoused. That’s the least he could do, but of course he will do no such thing. Bishop Fellay isn’t God, btw. He can make mistakes just like the rest of us. If you attend an SSPX chapel, then you are an example of how the SSPX is moving toward a Modernist understanding of the Church. IP5 is nothing more than fake news for fake trads. That sounds harsh, but it’s true. “Bishop Fellay just doesn’t have his heart in it anymore to fight the good fight. He seems to want to throw in the towel.” Again, your comments fly in the face of reality. He’s called out AL in the harshest (for Catholics!) terms. You seem to want him to jump up & down and hyperventilate. Of course he can. And good Catholics know they don’t call out bishops publicly unless they’re teaching error or sinning publicly – they don’t judge the internal forum, as you are quite plainly doing. LOL! Now I’m a MODERNIST? Here’s your homework: Provide the definition of modernism and your proof that I subscribe to its errors, publicly, which is what would be necessary for you to avoid the sin of calumny in this public statement. This may also sound harsh but is true: You’re behaving like a fool. 1P5 quotes Bp. Fellay directly and you discount it? I could say many things here, but I’ll refrain. Dishonesty is unbecoming a professed God-fearing Christian. The article you cite does not state what you claim. Are you some kind of complete idiot? I copied the quotes directly from the piece. Calumny isn’t becoming of a “Christian.” What are you talking about? Cath Thinker would have us believe that heretics (modernist churchmen) occupy places of authority in a church in which they are not a member of. This is basically the RR position and it makes no logical sense whatsoever. It’s amazing isn’t it? Then they expect heretics and apostates to teach, preach, and act as if they are faithful sons of the Church, wringing their hands with disbelief while continually criticizing everything the “authorities” of the Church do! You are SUCH an amusing guy, Tom. You’ll hold on to your bumper sticker theology until the day you die, won’t you? In truth, you don’t understand – and appear to not want to understand – what the Catholic Church really teaches on membership and every other topic you comment on with respect to sedevacantism. Who Is A Member Of The Visible Church? Sedevacantists love to tell us that tell us that heretics aren’t Catholic, then tell us that any person can determine who is a heretic (without providing a definition of the term, generally), then tell us that if they (Mario Derkson or Fr. Cekaka or any of their followers) determine that a prelate is a heretic due to some statement, he is therefore not a Catholic at all, and thus can’t hold any office in the Catholic Church (especially that of Vicar of Christ). But is this based on real Catholic teaching? St. Robert Bellarmine, Doctor of the Church, is a theologian sedevacantists quote regularly (because they don’t understand or misrepresent some of his statements to fit their theology). What did he say regarding membership in the Church? Did he echo their ubiquitous teaching that anyone who commits the sin of heresy (or even less) ceases to be a member of the Catholic Church (and that anybody else can infallibly determine when another Catholic has committed that sin or fault)? No. Note how Fr. Berry defines external profession of the Faith: it is, per se, **submission to the Church as teacher and Mother. ** This is very important, as sedes constantly insist that the mere uttering of a statement in conflict with a de fide teaching (or, frequently, even less than that) makes one a “heretic” and not a Catholic. This is, to be frank, nonsense. Note that Fr. Berry is talking about *Catholics* above. This is important regarding the terminology, as we’ll see shortly. Things are looking very bad for the sedes already: They insist that any baptized Catholic who merely speaks someone contrary to the faith (and this by their judgement) is a “heretic,” and, further, that this sin of heresy separates one from the Body of the Church. They say it over and over: “A heretic cannot be a member of the Church, much less its head; Pope X is/was a heretic.” Such thinking is absolutely contrary to the mind of the Church on these two major points: 1) That a “heretic” is any person who (judged by any person) merely says something contrary to the faith; 2) That the sin of heresy (sometimes even less than that, they say – even ignorant material heresy or lesser error) makes one a non-Catholic. To neuter of the silly, facile objection of, “these are only theologians,” we can quote the catechism of *The Council of Trent*: “A person is not to be called a heretic as soon as he shall have offended in matters of faith; ***but he is a heretic who, having disregarded the authority of the Church***, maintains an impious opinion with pertinacity.” (The Catechism of the Council of Trent, p. 96) We’ve already had, in these spaces, “Cyprian” spitting upon this very definition of heresy, when it was referenced before. Now here it is straight out of Trent. More references from esteemed theologians are available (from Cardinal Billot, for example) to demonstrate that merely uttering a heretical statement does not make one a *Catholic* a heretic – and that the sin of heresy does not severe one from the visible Body either (as noted above). “Heretics are divided into formal and material. Formal heretics are those to whom the authority of the Church is sufficiently own; while material heretics are those who, being in invincible ignorance of the Church herself, in good faith choose some other guiding rule. So the heresy of material heretics is not imputable as sin, and indeed it is not necessarily incompatible with that supernatural faith which is the beginning and root of all justification… if you understand by the expression material heretic those alone, who, while professing subjection to the Church’s Magisterium in matters of faith, nevertheless still deny something defined by the Church because he did not know it was defined, or, by the same token, hold an opinion opposed to Catholic doctrine because he falsely thinks that the Church teaches it, it would be quite absurd to place material heretics outside the body of the true Church; but on this understanding the legitimate use of the expression would be entirely perverted.” (“De Ecclesia Christi,” as quoted in “True Or False Pope,” p102-103. Note what Cardinal Billot is saying here: 1) Material heretics, by definition, are in *invincible ignorance* about the true Church – thus it is beyond dispute that they are NOT (and never were) baptized Catholics; 2) Material heresy, by definition, *is not sin*; 3) If the phrase “material heretic” could apply to Catholics, it would be “absurd” to consider them outside the Church (did you hear that, Cyprian? ); 4) The legitimate use of the term “material heretic” is thus restricted to non-Catholic Christians – Protestants. Things get worse for sedevacantist novelty when we learn that Bellarmine taught that the interior virtue of faith is not necessary for Church membership, and that this is the common opinion of the Church (according to the esteemed theologian Msgr. Joseph Fenton for one). In fact, it seems that for any theologian who considered the effect on the Church’s visibility, the answer was clear: Faith cannot be a necessary attribute for membership because then *members of the Church are not visible. * We don’t want a Protestant definition of the Church, do we? So, we see that sedevacantist insistence that the sin of heresy (or even less – what they mistakenly call “material heresy” of a Catholic) makes one a non-member of the Catholic Church is pure bunk. And this is far from the end of their problems: Note that every theologian describing the criteria for membership in the Church specifies submission to the supreme pontiff as necessary (at least formally; material resistance to non-binding error is another subject). The sedes, of course, deny that there IS a supreme pontiff, OR valid bishops with jurisdiction, or any visible Church at all now. The fact that this is regarded universally as a necessary criteria of membership in the Body is a large hint that sedevacantist ecclesiology is seriously broken: In fact, they have adopted a Protestant-style, heretical definition of the Church as an invisible body of scattered true believers (this is the subject of another essay). The notion that stating a material error would instantly make one a non-Catholic is, in fact, preposterous, both based on reason and doctrine and the fact that it has been entirely obvious for 2,000 years that the Church does not operate that way. Many Catholics make statements, at one time or another, contrary to some de fide teaching, unintentionally; there is no pertinacity in error, no rejection of the Church as the rule of faith. The Church in no time has indicated such people are no longer Catholics, just as those temporarily failing one of the other three bonds of external unity (such as reception of the sacraments) are not suddenly excommunicated. In short, sedevacantists generally make no distinction whatever between the Body and the Soul of the Church and simply have no idea what the Church teaches about membership in the Church. They take quotes regarding the sin of heresy causing the absence of Faith and the loss of sanctifying grace to mean lack of membership in the visible Body, which IS what the term “member of the Church” refers to. In other words, Christ must approve of the rejection of His true teachings by heretics and schismatics while Sacred Scripture warning of the unworthy participation in this most Holy Sacrifice has absolutely NO MEANING, at least to JPII. What is the implicit logic behind your post here? If Bishop Fellay has not specifically condemned every single, specific novelty in existence since the council, he’s not – what – Catholic? Do you understand that this makes no sense, actually? And do you know ANYTHING about the SSPX, really? The Catholic Church is an unreliable and dangerous institution which can either teach truth or error; can give good and give evil; can lead souls to Heaven or to hell. The Papacy and the hierarchy are less than useless; an utter danger to the Faith. It is up to the layman in the pew to sift and weigh everything that comes from the Magisterium. Keep what is Catholic, toss out what is not. The key to knowing whether something is infallible or not, is not based upon the office of the one giving it. No, the correct method is to check to see if it lines up with a previous infallible teaching, which is in its own turn tested for infallibility based upon whether that teaching itself lines up with an even earlier teaching. 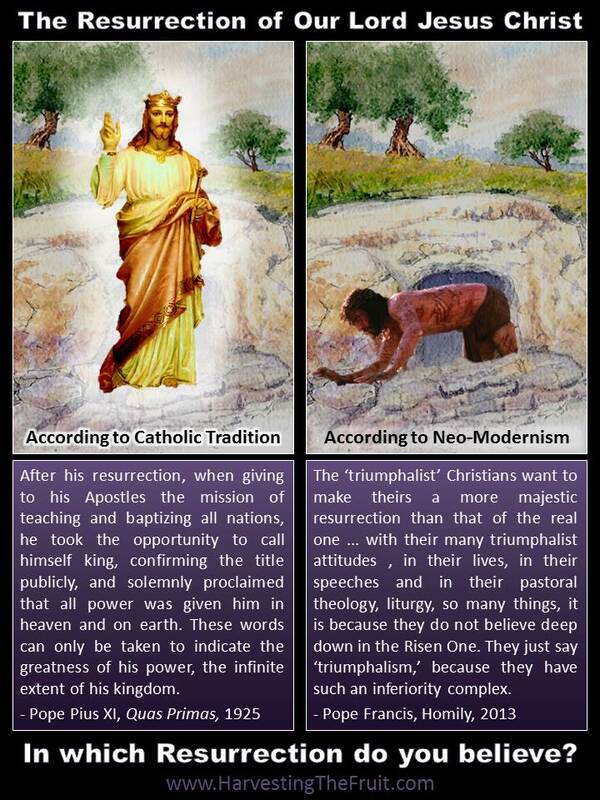 Since this is the way it is now, then it is the way the Church must have always operated since the Apostles. If A Catholic Thinker was around in earlier times, he would have to sift and weigh St Peter or St Pius X. It comes down to the individual to decide which teachings from the dangerous and unreliable Magisterium are Catholic, and therefore infallible, and those which are not, and therefore to be rejected. I’m only going to touch one part of this, for now. How can you possibly such a ridiculous notion of how papal infallibly works? Honestly, this is absolutely amazing to me. In reality, de fide teachings of the Catholic Church are infallible, along with dogmatic facts (points of fact connected so closely to dogma they must be true) – nothing else is. 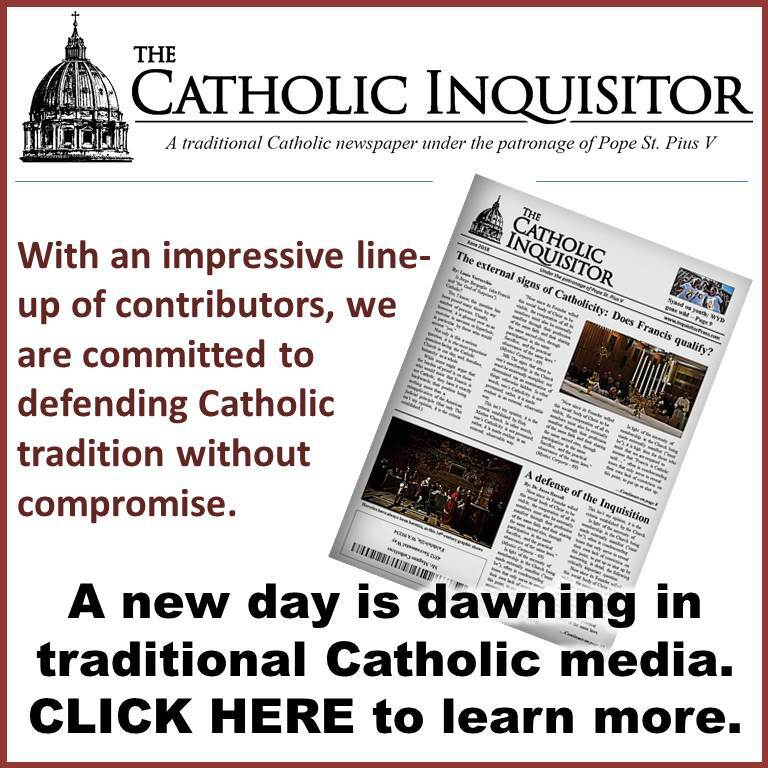 Surely you’re aware that Vatican II bound the faithful to no new doctrines? Even according to the promulgating pope? And that that’s not even *possible*, since, among other things, there are no documents with the precise, formal language of dogmatic definitions? According to your logic all the Arian bishops were false bishops too, etc., even though no one in the history of the Church has ever hinted at such things. Papal Subject, you show good faith. You don’t strike me as one of those sedes or borderline sedes just twisted with spite over these prelates that offend us. Please, give this some more effort. You’re SSPX, and the SSPX are not sedevacantist. I’ve asked you this many times: Why don’t you talk to your priest? Since, as you say, the Council and everything that follows it is non-binding, then this would include the new rites of Holy Orders invented in 1968. No could be bound to accept the radical changes as being valid sacramental forms, since they were not binding and therefore have no guarantee of validity or safety. So, like the heresies in Vatican II and the danger of the Novus Ordo, if one rejects them, one is not rejecting the Church as the rule of faith, because the Church has not made them law and bound us to accept them. The subject was doctrine, not discipline. I think you know very little to nothing regarding sacramental rites other than what you’ve read on sede websites. Please post specific reasons (and, if you can, don’t copy them directly from sede websites) you find one or more rites to be “invalid,” and I’ll respond. Mr. “Catholic ” thinker, I cannot help but note your unconcealed contempt for opinions at variance with your own, and also those who espouse them. Your pompous manner of expression is also unmistakably arrogant. If you could deign to allow for the possibility that you don’t know EVERYTHING, perhaps a fruitful discussion could take place. But your assumption of the mantle of omniscience is hardly conducive to respectful discourse. Where did you come from? You called me a liar above for quoting directly from an article I referenced. Your opinion regarding my personality is noted & filed. I’ve been dealing with the same people here, generally, for some time, and it is my humble opinion that intellectual dishonesty is, to some extent, rather endemic to dogmatic sedevacantism. Question for you: WHAT’S YOUR AFFILIATION? Sede-vacantist? I think it would make sense for you to state that before commenting further for the sake of your credibility. I just noticed you put “Catholic” in quotes, as if to imply that I am not, in fact, Catholic – LOL. Who do you think you think you’re fooling? Roger that! And what of Pope Emeritus Benedict XVI? How can he remain silent; how can his silence be rationalized and what are we to make of it? top8305: You mean that Benedict who handed a communion wafer to the leader of the Taize community at JPII’s funeral? A non-Catholic receiving communion from the hands of a “pope”????? Or that Benedict who never abrogated his predecessor’s, JPII, Code of Canon Law #844, paragraphs #3 and #4 that allowed the partaking of Communion to NON-CATHOLICS and SCHISMATICS? The Novus Ordo was “entrusted” to our hands. By whom? Bugnini and his 1960’s cronies, who were far superior to everyone else, and knew much, so, so much, more about everything than anyone. This was promulgated in April, 2003. Notice how the bishops have ignored both this encyclical and whatever the instructions were in the document prepared by the Roman Curia he claimed to have asked to have been prepared to end these abuses, as the abuses have not only continued, but are worse than in 2003. But really, why would the bishops heed anything he said about stopping the liturgical abuses when he, himself, was a party to and promoter of the most evil, sacrilegious and demonic liturgical “celebrations” publicly recorded for the world to see? This is simply ignored or forgotten by everyone it seems when it is clearly the most evil and blasphemous law that could ever have been promulgated. This post is completely sane and logical. If Bp Fellay cannot speak the Truth to the people regarding AL or any other subject of such gravity, then that should give him his answer right there. I shudder at what priests will have to answer for before Our Lord when it comes to having remained silent for fear of reprisals of any sort whatsoever. Easy for me to say, but still. To repeat: Does any Catholic in their right mind not understand that attributing to a papal document “moral relativism,” accusing it of operating “in Protestant fashion,” and of “turning Catholic morality upside-down” is about as damning a condemnation as could be imagined? What do you want? Who are you to criticize Bishop Fellay? “There will be possibly other manifestations of putting the brakes on by the Vatican; and it is very, very dangerous for us to “rally” ourselves now. No rallying, no rallying to the liberals; no rallying to the ecclesiastics who are governing in the Church now and who are liberals; there is no rallying to these people. From the moment when we rally ourselves, this rallying will be the acceptance of the liberal principles. We cannot do this, even if certain appeasements are given us on the Mass of St. Pius V – certain satisfactions, certain recognitions, certain incardinations, which could even be offered to you eventually. That is not possible! One cannot come to terms like that! That they give us back everything. That they give up their liberalism, that they come back to the real truth of the Church, to the faith of the Church, to the basic principles of the Church, of this total dependence of society, of families, of individuals on Our Lord Jesus Christ! At that moment when they give us the Mass of all times, very well, then, we are completely in agreement. Then there will be a perfect understanding, we will be able to be recognized, and we will have no more scruples. He clearly understood that compromising with the Devil ends up rejecting the true faith. And he clearly understood how the machinations of the Modernists were asking for this compromise. 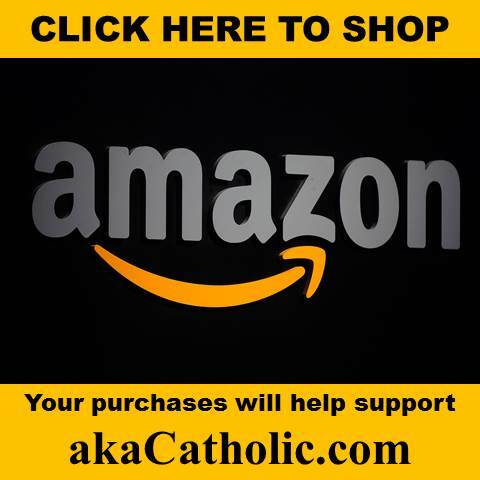 Do you support idea of the SSPX reconciling with Rome? A voice of common sense. Thank you Petrus Romanus. You have pointed out the facts clearly. A false pope has no authority. At least Louie is questioning the “regularization of the SSPX.” I call that that progress. A year ago he was in support an SSPX reconciliation. So lighten up a little, huh? Petrus Romanus, have you also posted on the other trad blogs, such as One Peter Five, to show why an SSPX regularization is wrong? I ask this because the One Peter Five Blog is very outspoken in their support of an SSPX regularization, and they don’t allow much disagreement with them on the matter. I know because I’ve had a lot of my posts removed there by the moderator. It’s like they are an official spokesman for the SSPX now. Louie, on the other hand, at least allows the subject to be discussed. I see that you’ve provided a link to a blog, and that link has also been posted on the ablf3 forum. What a very important point you make! Archbishop Lefebvre was speaking materially rather than formally in that well-known quote. Of course he understood that, formally, the Church was exactly what it always had been, since there’s no way things can be any different. That is why he always recognized the pope, met with him or his representatives in good faith, and never claimed jurisdiction for his Society. To contradict any of these would have been to become schismatic. Also that opening quote is idiotic. The quote is “idiotic”? How so? Louie does not believe the Pope to be Catholic. How can a non-Catholic Pope “recognize” a group of priests “as Catholic”? The SSPX is the antithesis of Vatican II Catholicism. An imposter conciliar Church following ecumenism, religious liberty, and collegiality recognizing the SSPX “as Catholic” makes no sense. You completely ignored the material vs. formal distinction, which is critical. Again, obviously, Archbishop Lefebvre was quite aware that the pope was still the pope and the hierarchy he led still the Catholic Church (which +Lefebvre and the Society were and are a part of). That is why he treated the pope like the pope, called him the pope, never claimed jurisdiction, and more. I’m not implying you necessarily contest these things (I don’t know). I’m well aware of what Louie believes regarding the pope – though he still actually couches everything in some film of ambiguity. If your point was that, from Louie’s point of view, it should make no difference if the Society is given recognition, you’re right, and that’s quite a good point. Apologies for the “idiotic” comments; I might have unpacked that wrong. So, that being the case, +Fellay should only enter a material agreement with Rome, not a formal one. That’s a very good quote from the Archbishop. When was the last time Bishop Fellay referred to the “conciliar church?” It seem he rarely mentions it anymore. When was the last time the Vatican used the phrase? That’s where it come from, and that’s why Archbishop Lefebvre used it. Again, this is a material, not formal, distinction. It’s important to be aware that post-Vatican II churchmen in “full communion” coined the term – not that it is not fitting, in the material sense. Doesn’t Our Lord predict a reduction in numbers in the Great Apostasy, which aligns with the sedevacantist’s saying the Vatican II sect is not the Catholic Church? Also, how can you believe Benedict XVI was a true pope when you see two minutes of the following (watch 8:40 – 10:21)? Finally, what about St. Bernardino of Siena? St.Bernardino was arguably the most famous preacher of the 15th century. Here is a quote that refutes the modernist heretics who claim one needs a trial or declaratory sentence from the Church for someone to be officially a heretic. “Also, how can you believe Benedict XVI was a true pope when you see two minutes of the following” – thanks for laying bare the nature of sedevacantism. How can any Catholic who knows the first thing about the faith and has a brain think that THEY can determine which pope (elected by the Catholic Church and accepted by the Catholic Church – the very same visible, hierarchical Body that Christ founded on Peter) is really a pope, and which is not – by watching him? Where did you get the idea that all popes are personally impeccable, free from sin, or even free from doctrinal impurity? It wasn’t from studying the history of the Church or reading her theologians. “* The Catholic Church is the society of the baptised who want to save their souls in professing the Catholic faith, in practising the same Catholic worship and in following the same pastors, successors of the Apostles. “(…) But with regard to infallibility one needs to remember what Fr. Dulac expressed so perceptively when speaking of Paul VI: “When, in the history of the Church, there were several popes at once, one could choose one’s pope, but now we have two popes in one.” We do not have a choice. It is a fact that nowadays we have ‘double-headed’ popes. To the extent that he represents the tradition of the papacy, the tradition of infallibility, we are at one with the pope. We remain attached to him as continuing the succession of Peter, and on account of the promise of infallibility made to him. It is we who still uphold his infallibility. He, on the other hand, even if from certain aspects, ontologically speaking he can be said to embody infallibility, is formally opposed to it because he just doesn’t want to know about it anymore. He doesn’t believe in it, and none of his official pronouncements or documents bears the marks of infallibility. That’s why they insisted that Vatican II be a pastoral and not a dogmatic council; because they don’t believe in infallibility. They don’t want any defined truths. Truth has to be ‘living’ and ‘evolving;’ possibly it will change to keep in step with history, science, etc. Infallibility, however, permanently establishes a formula and a truth which can never change, and that they cannot believe. We are the ones who believe in infallibility, not the Conciliar Church. It is absolutely certain that the Conciliar Church is opposed to it. Cardinal Ratzinger is against infallibility, and so, due to his philosophical grounding, is the Pope. I stand inspired by the Society of Pope Saint Pius X. As everyone has tried to rationalize and interpret the catastrophe of Vatican (which was needed at the exact time to eradicate the Modernist influence and infiltration of the Church), it rather opened the doors and welcomed them. While aggiornamento distracted us to the windows to “let in the fresh air”, we neglected to notice what was happening at the doors of Saint Peter’s. One was so convinced of the error of the Council, that he alone stood up and corrected its errors. 60 years later, the Church has obviously been ravished by its directions. A canon lawyer once noted that so many nuns were leaving their communities because those societies were no longer what they had originally joined. For those of us old enough to remember, this is certainly not the Church that we well knew before the Council. The accidents are familiar, but the essence has changed in the transition. Even up to this morning and every morning, something else is noted that just continues to add to our certainty and ongoing disappointment in the evident misdirection of our beloved Church. As the Vatican continues to run after every pastoral misconception and ecumenical fantasy, they continue to run farther away. With each day it only gets more unfaithful to our Tradition. I can’t see how becoming a Prelature is going to in any way resolve anything. Its erection would only be political and not truly doctrinal. What was rejected 60 years ago, has only intensified with time. The reason to return has become 100 times more skeptical. Back in the dark ages, monasteries saved that which was faithful to the Church. It reminds me of “Shangri-la” which reflects the modernist trend even back then. All that was needed was “moderation” for the masses. So with each day, I ask myself, why I have not made the move to this Society. It is not a question of what is liturgical, though that is certainly a part, but doctrinal. Pope Francis spoke this morning about the commandments and freedom. Once again we have misunderstanding coming from his sermon. Since the truth shall set us free, there is but one place that we can be certain to find it. May the Society hold to its principles and its faith. Since you may not understand, consider this: the PROPERTY OF THE SOCIETY IS VALUED IN THE MILLIONS, mostly acquired by dint of great exertions by the traditional faithful for the purpose of sustaining the Faith. Upon an agreement with the heretics, ALL OF IT becomes subject to the thuggish whims of Bergoglio. You certainly don’t labor under the delusion that he will hesitate to turn any “uncooperative ” priests out, as he did with the FFI?! Well this is the corner the society has painted itself into since keeping of the opinion that modernist rome is somehow the Catholic Church.